Love relationships between black South African women and immigrant men have not been given adequate attention by researchers of migration, refugee studies, and those concerned with anti-immigrant attitudes and violence. This chapter argues that cross-border love relationships provoke sexual jealousies between the two sets of men: South African and black African immigrant. These are eventually expressed in anti-immigrant violence, such as the events that occurred in May 2008. 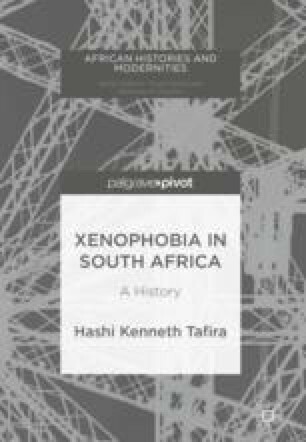 The chapter contends that in order to gain a full understanding of this kind of violence, one needs to grasp the dynamics of love relationships between black South African women and black African immigrant men and the influence of pervasive community myths such as immigrants stealing jobs and taking local women.